When you contact us, we’ll send a trained and experienced technician to your home who will thoroughly assess your property. This inspection comes with no cost or obligation, and we’ll provide you with a detailed report and suggestions, so you can make the best decision for your home. At Kilter, we create comprehensive plans designed to completely eliminate infestations and prevent them from recurring. Our technicians will seal any entry points in your home and use advanced products to remove rodents living in your residence. We’ll continue to visit your home to rebait traps until there is no doubt that the infestation has been eliminated, and then we’ll extend a two-year warranty. 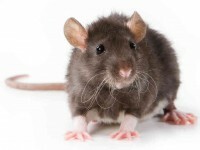 What’s more, throughout the process, we’ll restore and sanitize areas that have been affected by rodents. We even offer services, such as insulation replacement, to help completely restore your home. Contact Kilter Termite and Pest Control today to learn more about our rodent removal services and schedule a free inspection at your home in Redondo Beach, CA.